The following article on why you should digitize old photos was written by *Laurent Martin. You have shelves filled with photo albums. You have boxes stashed in the backs of closets containing more photos, along with many boxes of slides. Somewhere in your attic, you know there are some old photos that no one has looked at in decades. Why is it important to convert those old photographs to a digital format and run them through a round of photo restoration? Here are seven reasons that together form a strong case for digitizing and restoring your old photos. If all of your old photos are stuck in albums or boxes, you can't easily share them with anyone. Of course, you can drag out a few albums for people to view when they come over, but that is more showing than sharing. Photo digitizing and photo restoration allow you to post these old photos where family and friends can easily access them for viewing and sharing with others. It is a great way to place family history within reach of other interested members. Old photos will degrade over time. The paper the photos were printed on was not meant to last forever. As these materials start to age, the images begin to deteriorate. Mildew and mold can set in. Fading, creases and other damage can happen. Every year means a bit more deterioration. Digitizing and restoring old photos allows you to salvage these images before they are lost to time. More importantly, scanning photos makes it possible to preserve the memories in them for future generations. Many older photographs are likely to be of people whom you never had the chance to meet - great-grandparents, a great uncle or an old family friend. But there are probably older members of your family who know who these people were. Digitizing those old photos and restoring them will allow you to share them with these family members in order to gather vital details about people from the past. As the archivist, you can add labels, tags, or embedded details in the photo file to permanently record that information. Photos capture moments in time, but they often tell the story of what was going on at the time. Old photos of family vacations are a perfect example. Let's say your dad went on a family trip to visit his grandparents on their farm and there is a priceless photo of him helping his grandfather milk a cow. A photo like this could trigger many wonderful childhood memories and stories. Clearly, photo digitization and restoration can pave the way for sharing old photos easily in order to unearth the stories behind them. Albums and boxes of photos take up space. If you live in a smaller home or apartment, you likely don't have a lot of room to spare. Digitizing those photos will help you free up physical space. Once they are in digital form and restored, you can do one of two things with your physical photos. You can consolidate them into archival boxes that usually take up less space than albums. Alternatively, you can give them to other family members who have the space to store them. We live in a digital photo era now with every photo that is taken finding a home on a disk drive or on some form of cloud-based storage. We may print off a few to display in our homes and offices but the majority of our photos are stored in a digital format. There is no reason why old photos should not become part of our digital photo archives. In fact, digitizing those old photos allows you to easily hand them over to future generations. They can become part of a valuable legacy you pass down to them. With the passage of time, photos can age and fade. They lose the vibrant quality they must have had when they were first taken. 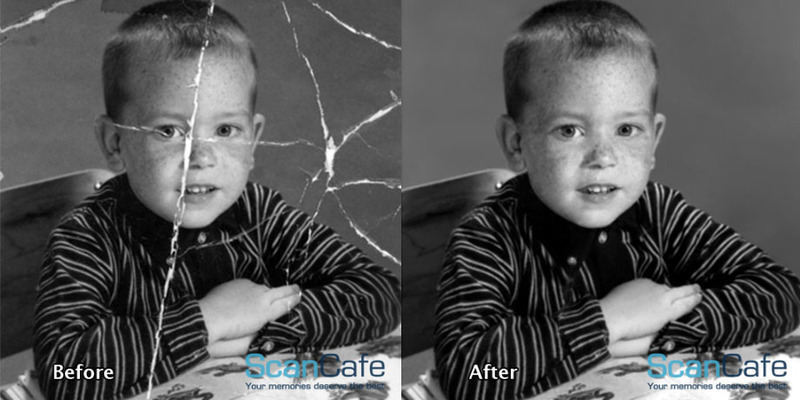 By digitizing your old photos, you have the opportunity to restore your photos to their original condition. Photo restoration is a great way to bring life back into old photos. It can make that faded photo of your grandparents look as if it was clicked yesterday. Each of these reasons shows why it is so important to convert old photographs to digital format and to have them restored. Whether you want to free up physical space, build a photo legacy, or share photographic stories with others, now is a great time to get started on this very important project. Here are some additional thoughts that I have on how you can digital your old photos. You have 3 options on how you can digitize old photos. You can take photos of them, buy a scanner, or pay someone else to do it for you. Like most things, there are pluses and minuses to all three. Let's take a look and see which option is best for you. How to Digitize Old Photos - Comparison of 3 methods. This is the easiest to do, but will give you the poorest result in terms of quality. You're right, you've got your cell phone conveniently available. 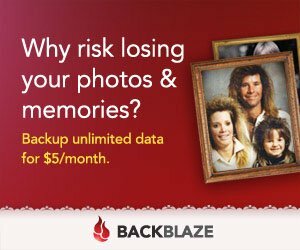 Why not just digitize your family photos with the camera you already have? There are several issues. 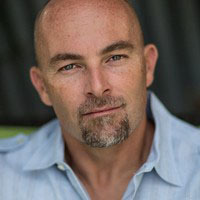 You'll need to find or create even lighting and get the color balance just right. Secondly, you lose some sharpness and clarity, particularly if your using a smartphone with such a tiny sensor. This is the most time consuming method of copying and restoring your old photos. Loading and individually scanning dozens or even hundreds of photos will take hours and hours of time. 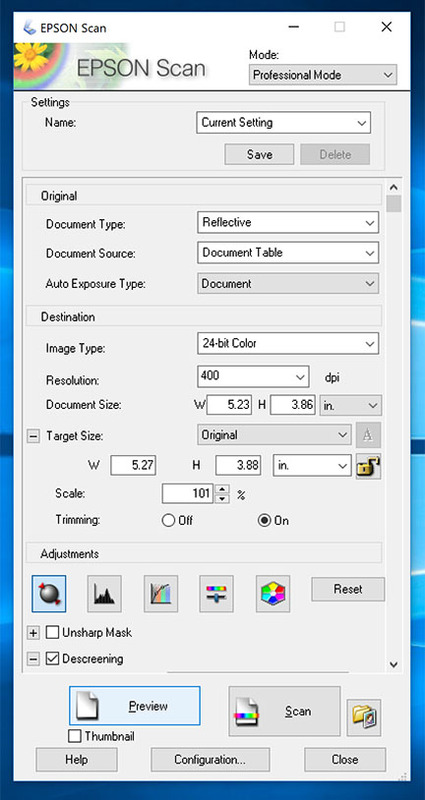 Add to that, if they're old photos you got different sizes, some color, some black and white, some faded...each of your photos may need to be adjusted for color and brightness, let alone retouching all of those dust spots that scanners pick up. I do a bit of photo restoration for some of my clients and I can tell you it's very time consuming. The scanner has to warm up, then the software has to open up on my computer. After that, I have to adjust a bunch of settings, do a preview, and finally scan. The scan takes a while, then it loads to my computer where I have to edit and retouch. If you enjoy retouching in an editing program like photoshop, then this might be an option for you. This is the easiest by far and is popular for busy people like you. Yes, you will have to open up your purse, but time is your most precious possession. Companies who digitize photos as a professional service are set up to handle both small and large jobs. They can include retouching as an option or you can direc them to only do the scans and you can handle your own retouching. Once they exist as digital files, all of your old photographs can be shared easily. You can post them to Facebook, upload them to Pinterest, or share them on Instagram. I see a lot of this on Facebook and these type of posts get a lot of comments and fun reactions from friend. Have a blast. Restore your old photos and you can enjoy them over and over again! To digitize is to convert (photography or sound) into a digital form that can be processed by a computer.